A fit Vice President Constantino Chiwenga was today in cabinet undertaking his daily routine, putting to bed malicious and mischievous social media claims that he was on his deathbed in a South African hospital. Yesterday, some people in South Africa reportedly held demonstrations outside what they believed to be the hospital admitting the Vice President, but the sturdy health status of Dr Chiwenga contradicts a lie that had been sold out that all is not well in government and the ruling Zanu PF party. The purported demonstrations also appeared to paint a tarnished image on Zanu PF outside the country, and they made it clear that demonstrations have since become a fashionable medium of desperate politics. 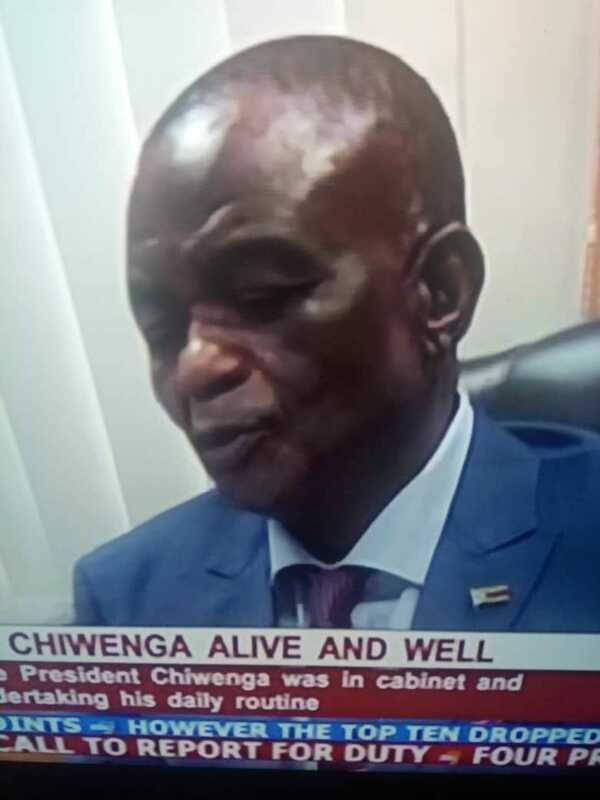 An amused Dr Chiwenga laughed off his health status claims as he set aside a few minutes to exclusively speak to the ZBC News at his Munhumutapa offices in Harare after Tuesday’s cabinet seating. The hospital allegedly said to be where he is admitted has since dismissed attending to him as a patient while South African opposition political outfit, EFF has out rightly distanced itself from mobilising the people who demonstrated outside the hospital in Cape Town. A jovial Vice President Chiwenga had a lighter interaction with the ZBC News, emphasising the centrality of understanding the history of the liberation struggle to the well being of Zimbabweans, especially the youths. After realising that the Cape Town hoax was running out of steam and was soon to be exposed, the originators of the baseless stories had already crafted another ruse, claiming that the Vice President had been airlifted to a Russian hospital.